Catholics (by their real names) and disparages them. Like the approach of Fr. Cekada, Derksen’s website is filled with humorous caricatures and comical satire aimed at discrediting his opponents and maligning their character, which is the customary effeminate response of those who cannot engage their opponents at an intellectual level. 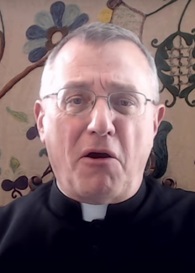 For example, after John Salza gave an interview on papal infallibility for the Voice of Catholic Radio on March 30, 2014, Derksen revealed his juvenility by publishing a supposed “rebuttal” of Salza’s presentation which he called “Comedy Hour with John Salza,” and posted a graphic of Salza’s face with a clown’s nose on the webpage. Catholic writer Paul Folbrecht, offended by such childish assaults on a fellow Catholic (not to mention Derksen’s amateurish scholarship), wrote an extensive rebuttal to the NovusOrdoWatch piece, revealing the many errors, omissions and misrepresentations it contains (which, like Salza’s extensive critique of Derksen’s arguments, currently remains unanswered). We have become accustomed to Derksen’s immature behavior and use of abrasive invective against Catholics. These are merely smokescreens to camouflage his insecurities and the weakness of his case. What else can you say about a person who has no shame in calling his opponent “moron,” “idiotic,” “hilarious,” “ludicrous,” “dumber,” “asinine” (words that Derksen used in a single piece that he wrote in response to John Salza’s articles refuting Sedevacantism)? However, Derksen recently hit a new moral low when he released a podcast in response to John Salza’s interview about Sedevacantism on TradCatKnight radio. Is Derksen really not aware that as soon as Salza (who, unlike Derksen, never left the Church or publicly defended his errors) discovered his mistake (again, nearly 20 years ago! ), he has not ceased to publicly speak out against the errors of Freemasonry, traveling the globe to give talks and writing books and articles to that end (which has helped lead many men out of Masonry)? To bring this up shows just how desperate Derksen is to tarnish the credibility of his opponents. To top it off, Derksen linked to a blog comment by an anonymous blogger (another “courageous” Sedevacantist) from another website in which the blogger actually questions whether Salza is still a Freemason who is really out to defend Pope Francis! Such desperate smear tactics only confirm everything we put forth in our last chapter of True or False Pope?, called “The Bitter Fruits of Sedevacantism.” This present article provides us with yet another opportunity to reveal just why Derksen continually engages in such ad hominem tactics. The reason he does so is celar: Because he cannot defend Sedevacantism on its own merits, and his attempted defenses are riddled with the most elementary errors of theology and logic that one could commit. Furthermore, precisely how and when a heretical Pope loses his office is an additional question of law – and this is a question that the Church herself has never settled. In light of this, we can see that the complex question concerning how a heretical Pope loses his office is not based “solely on the order of fact” as Derksen imagines, or even solely on the applicable questions of law. Rather, it is what legal scholars classify as a “mixed question of fact and law” (de facto et iure). The reason it is a mixed question of fact and law is because the Church cannot look solely to the law, or solely to the facts, to resolve the question of whether the Pope has lost his office for heresy (or should be deposed for heresy), as we explain in great detail in our book True or False Pope? Second Base: Question of Fact – Is the Pope a manifest heretic who has lost his office, or should be deposed (in accord with the previously established law)? Not only does Derksen skip over first base (questions of law), but in so doing, he fails to realize that he has no authority to render a judgment when he gets to second base (question of “fact”). As we demonstrate in our book, St. Robert Bellarmine said there were five different opinions concerning the question of law, none of which have been definitively adopted by the Magisterium. This point alone proves that whether a Pope has lost his office (or should be deposed) for heresy is not “solely a question of fact” (second base) but involves more fundamental questions of law (first base) that must be resolved first. Even if one agrees with Bellarmine’s opinion on the question of law - that is, that a manifestly heretical Pope loses his office ipso facto (which the theologians unanimously hold would only happen after the Church establishes the crime of heresy) - the opinion has not been adopted by the Church, and there are reputable theologians who disagree with, and have indeed refuted, Bellarmine’s opinion, such as John of St. Thomas. (The opinion of John of St. Thomas, and others, is that a heretical pope does not lose his office ipso facto, but must be deposed by the Church.) And it should be pointed out that Bellarmine did not present his opinion concerning this question as if it were a dogma. He defended his personal opinion, but never declared that those with whom he disagreed were certainly wrong. This is evident when one considers how he responds to the opinions of the others. For example, in responding to the “Third opinion” (which maintains that a heretical Pope cannot be deposed or lose his office), Bellarmine only says the opinion is “exceedingly improbable,” not certainly false. Likewise, in responding to the “Fourth opinion” of Cajetan, Bellarmine does not say, as Sedevacantists do, “Cajetan is wrong!” but only says “in my judgment, this opinion cannot be defended.” Bellarmine knows only the Church has the authority to decide which of the theological opinions concerning questions of law (first base) is correct. What this shows is that Sedevacantists cannot get to second base with their “question of fact” approach until they get past first base by resolving these “questions of law”. But resolving these complex questions is not within their power. For this reason alone, no Sedevacantist can publicly hold his opinion as a fact. Doing so is usurping an authority that does not belong to them, since only the Church has the authority to decide questions of fact and law; and only the Church has the authority to apply the applicable facts to the law. Of course, with his facile “question of fact” approach, Derksen doesn’t explain what happens when individual Catholics in the pew disagree about the “facts.” When this happens, who decides who is correct? For example, Sedevacantist John Lane judges the “facts” and concludes that Pope Honorius remained a true Pope, even though he was condemned as a heretic by the Church. 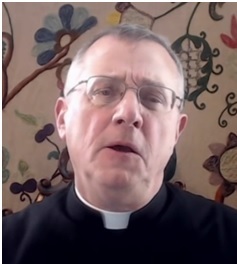 Sedevacantist Steve Speray, on the other hand, reaches a completely different conclusion when judging the “facts,” by concluding that Pope Honorious lost his office and became an antipope. Who decides who is right? To what higher authority can the Sedevacantists appeal? And what about the Sedevacantist author, Richard Ibranyi, who considers it to be a “fact” that all of the Popes since Innocent II (1130-1143) - 102 in all! - have been antipopes? This dilemma underscores the Protestant nature of Sedevacantism, where private judgment, and not the Church’s judgment, serves as the final court of appeals. And what has been the result? Sectarian division and infighting within the movement, resulting in dozens of individual Sedevacantist sects - and dozens of antipopes being elected (the number of antipopes produced by the Sedevacantist sects during the past 40 years is completely without precedent in Church history). For those with eyes to see, this alone proves that Sedevacantism is a false and, indeed, a dangerous movement. Now, because Mr. Derksen and his colleagues do not have the authority to resolve the threshold questions of law concerning whether and how a Pope loses his office for heresy, it follows that they have no authority to judge that the Pope has, in fact, lost his office for heresy. Legal standards must first be established before they are applied to the facts of a case, whether in secular or ecclesiastical jurisprudence. And the anticipated and convenient appeal to “Divine law” won’t help the Sedevacantist either, since the Church is the final judge on matters of ecclesiastical law precisely because she is the final judge on matters of the Divine law (canon law being a specification of the principles of Divine law). In short, if individual Catholics don’t have the authority to settle such speculative questions of law and theology - much less bind themselves and others to their opinions - then Sedevacantism necessarily proves itself to be a self-defeating, erroneous and nonsensical theory. Mr. Derksen might be surprised to learn that his mentor, Fr. Cekada, along with Bishop Sanborn and seven of their colleagues, indirectly conceded this very point (before they became public Sedevacantists). These prelates have admitted that individual Catholics have no authority to settle speculative questions of theology and law that have not been resolved by the Church. You read that correctly. In 1983, these nine priests (former members of the Society of St. Pius X) wrote a letter to Archbishop Lefebvre complaining that they were not permitted to question the validity of the New Mass and the new rite of ordination. They complained that forbidding them to do so was infringing on their liberty since, as they said, these speculative questions of law had not been resolved by the Church. So, according to the reasoning of the priests who signed this letter (most or all of whom are now Sedevacantists), the Society of St. Pius X is not permitted to insist on the validity of a Mass that was approved by the Catholic Church, yet Sedevacantists themselves (including Fr. Cekada who signed the letter) are permitted to settle very complicated speculative questions of theology and law concerning when and how a Pope loses his office for heresy! And they do so dogmatically by condemning those who are “in union” with the conciliar Popes, even claiming they are forbidden from attending a Mass in which the Pope’s name is mentioned in the canon! Thus, “we are bound to inform Mr. Derksen” and the rest of his Sedevacantist colleagues that they have erred by “usurping that teaching authority” which does not belong to them, and “acting as though they did have such authority,” even as they make the most elementary errors on the distinction between questions of fact and law when presenting their case. Perhaps Mr. Derksen will want to write his next piece under another phony name, since the pieces written by “Gregorius” have proven to be complete disasters. Derksen’s piece is called “The Chair is Still Empty” at www.novusordowatch.com. John Salza has written a detailed refutation of Derksen’s arguments called “The Chair is Still Empty? Says Who?” at www.johnsalza.com. “Response to John Salza’s Interview about Sedevacantism on TradCatKnight Radio at www.novusordowatch.com. “John Salza: Double Agent?”at http://introiboadaltaredei2.blogspot.com/2016/01/ double-agent.html. “The Chair is Still Empty,” found at http://www.novusordowatch.org/the_chair _is_still_empty.htm. ST, II-II, q. 60, a. 6 (emphasis added). For example, in our book we provide Fr. Augustine’s commentary on canon 188.4 of the 1917 Code of Canon Law, in which he explains that “public defection” under this canon is a question “de facto et iure” (from fact and law), since whether a cleric has joined a non-Catholic sect is a question of fact, while the requirement for a canonical warning in such case, followed by the process of his loss of office (tacit resignation), are questions of law – both of which must be judged by the Church. Four opinions pertain to how a heretical Pope would lose his office, or if a Pope can lose his office for heresy. The other opinion addresses whether a Pope can fall into heresy in the first place. In True or False Pope? we provide John of St. Thomas’ refutations of each and every objection that Bellarmine raised against Cajetan’s opinion. Ibranyi, Richard, “No Popes since 1130” (January 2014). “Letter of ‘the Nine’ to Abp. Marcel Lefebvre,” (March 25, 1983; emphasis added), http:// www.traditional mass.org/articles/article.php?id=48&catname=12.